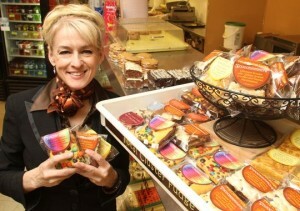 Alisa Shakespeare shows off some of her products at O’Connors Deli in Genoa Township, her first retail location. Photo by ALAN WARD/Courtesy Livingston Daily Press & Argus. Alisa Shakespeare of Brighton is set for the May 13 LegUP! meeting. Shakespeare is co-owner of Total Cluster Fudge, which went from an idea to a $1-million-a-year company in just two years. She’ll talk about the amazing success of the company, which was also featured on the Food Network’s version of “Shark Tank” in April. The program — which is free and open to the public — is set for 5:30-7:30 p.m. Wednesday, May 13, at the Johnson Center at Cleary University, 3750 Cleary Drive in Howell. LegUP! 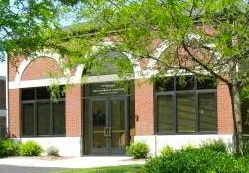 is a collaborative effort of the Howell, Brighton and Hartland chambers of commerce, Cleary University, Livingston County SBDC, SCORE and the Livingston County libraries. The group brings together entrepreneurs monthly for educational, networking and resource opportunities. For more information, contact Pat Convery, president of the Howell Area Chamber of Commerce, at 517.546.3920 or pconvery@howell.org.